The KSB Hospital Pediatric Department specializes in the medical needs of newborns, children, and adolescents. We provide a warm atmosphere for patients and their families, and our caring and compassionate staff take the time to get to know the needs of every child who comes through our doors. We know that no one plans on their child getting sick. That’s why our Pediatrics team offers extended evening and Saturday appointments – to make getting seen easier and more convenient for families busy schedules. We’re open most evenings until 7 pm and offer Saturday appointments as well. In October of 2017, KSB was awarded a three-year, $957,300 grant from the Health Resources & Services Administration (HRSA) to establish a Pediatric Center of Excellence for the benefit of children in Lee, Ogle, Carroll and Whiteside Counties. The three-year project will focus on the development of a Patient-Centered Medical Home for all children, birth to 18 years of age, including those with special health care needs. The project will enable expanded access to a broad range of healthcare services, contributing to better health outcomes, and improving the overall health of the community. 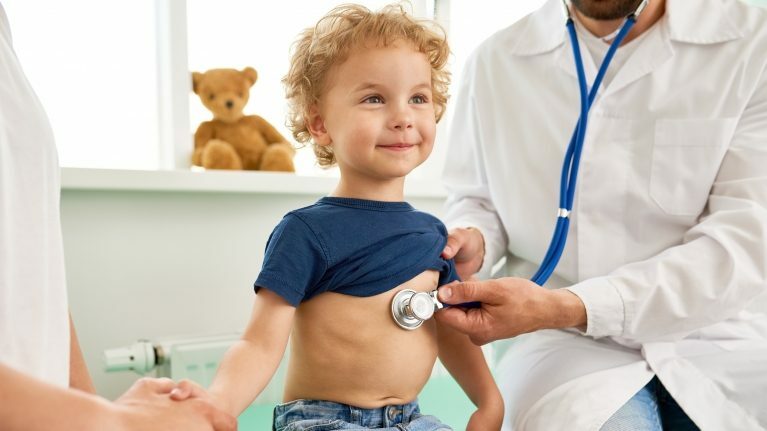 In addition to expanded primary care services, the KSB Pediatric Center of Excellence will provide care coordination to area families, helping them to navigate a broad range of health services to pediatric specialists through a robust referral process. The center will also provide onsite diagnostics and treatment for chronic illnesses such as asthma, allergies obesity and other conditions. In addition, the Pediatric Center will offer expanded access to Psychological, Educational, Occupational, Physical and Speech therapies.